In ancient times skillful warriors first made themselves invincible, and then watched for vulnerability in their opponents. Making yourself invincible means knowing your self, seeing vulnerability in opponents means understanding others. Welcome to the Seishin Dojo, teaching the traditional Japanese martial arts, or bujutsu, of the Kaze Arashi Ryu. 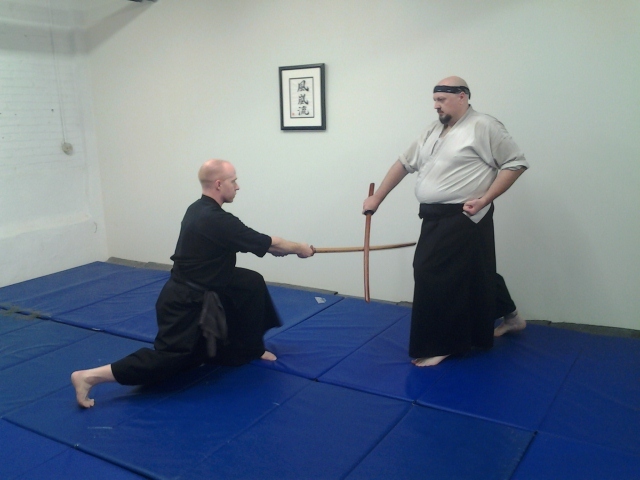 Our dojo opened in 1996 in St. Paul, but is currently located in Northeast Minneapolis, Minnesota. Our principal instructor began training in this tradition in 1987, and currently holds a menkyo certificate. We accept students from all walks of life, and we do not unjustly discriminate against anyone. However, the Kaze Arashi Ryu is a classical tradition, so training is demanding and the full curriculum is large. We train in earnest. Anyone who wishes to train with us should expect to do the same. You will find the rewards worthy of your effort.